Heading to the farmers’ fair on the outskirts of Angul, an industrial town in India’s eastern state of Odisha, there’s not a cow to be seen along the roadside. The 52-year-old headman of the local Juang tribe, Bhagban Pradhan, explains that it’s the season when communities feed their livestock in sheds to give their collectively managed grazing land and forest time to regenerate. Pooled resources – primarily land, forests and water – provide a crucial coping mechanism for eight out of 10 poor farming households in India, especially in semi-arid regions that are prone to drought. Fodder, fuel wood and other forest products, including food, can be procured free from these “commons”. “In rural livelihood systems, infrastructure must first be understood as soil, water, nutrients, biomass and biodiversity, as they are fundamental for the viability of farming systems and thereby the rural economy,” said Jagdeesh Rao, founder and head of the Gujarat-based Foundation for Ecological Security (FES). 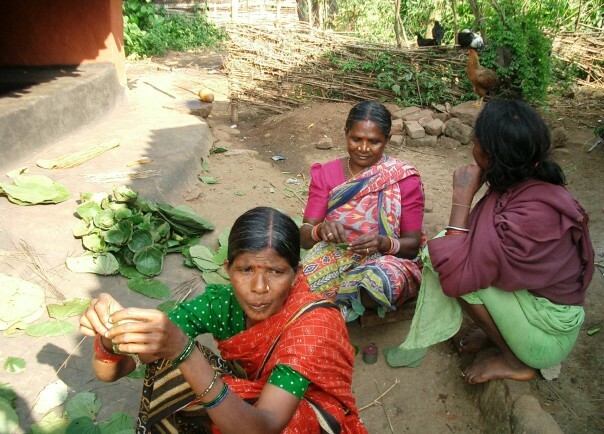 The FES works with 1.7 million rural people to manage the commons sustainably through democratic community institutions in some 4,000 villages across seven Indian states. Over 25 years, this work has improved 207,000 hectares of land, boosting incomes from farming, herding and forest activities. One major problem in India, however, is that common lands are often mistakenly categorised as “wastelands”, Rao told Thomson Reuters Foundation. And they are shrinking due to a lack of proper tenure and appropriate village arrangements to manage them. Around one third of India’s total geographical area, 120 million hectares, is degraded, according to a 2010 report from the Indian Council of Agricultural Research. This includes much of the country’s 49 million hectares of common land, of which 2 percent is lost every five years to industry, special economic zones and jatropha plantations that produce bio-diesel. Around the world, over 2.5 billion people live on and actively use physical commons, including forests and drylands, according to the International Association for the Study of the Commons (IASC). “More than 90 percent of the Indian rural population depend in varying degrees on community lands for their survival, and up to a quarter of poorer household incomes year-round come from common property, compared to just 1 to 3 percent for non-poor (people),” Rao said. India’s rural poor numbered 231 million in 2010, according to the International Fund for Agricultural Development. An early study from 1986 by commons expert NS Jodha showed that communal village land contributed $5 billion to the income of poor Indian households. Very little research has been undertaken since on the economics of common land, reflecting its relative lack of importance to India’s policy makers. For eight months a year, Pradhan’s 45-household village and 25 surrounding tribal villages collect thick sal (shorea robusta) leaves from the forest to make them into plates they can sell. During the four months of the monsoon season, when the sal tree regenerates, they have little choice but to forage for edible tubers, fruits and leaves. “The forest that once gave like a mother had reached such degradation a decade back, we’d search all day but brought back hardly five edible things,” Pradhan said. The FES taught them to start using traditional practices again, enabling forest resources to be harvested sustainably – for example, cutting half the tuber root to take home and leaving the rest to grow again, and protecting bio-diverse food areas from forest fires and fencing them off from cattle. “Today my wife brings home the baghara auala (giant tuber) I last saw as a child … (and) 58 different edible items from these same forests,” Pradhan said triumphantly. The village of Thoria and adjacent areas in the desert state of Rajasthan’s Bhilwara district experience big swings in the amount of annual rainfall they receive. In 1993, rainfall measured 292 mm; in 2002 – a fourth consecutive drought year – 51 mm; and in 2006, 650 mm, according to FES data. In 1993, the FES helped the community in Thoria demarcate 500 hectares of common land as a watershed area. Native species like the fruit-bearing ber, babool, whose twigs are used for brushing teeth, and dhaman grass seedling were planted. Check dams were built and water harvesting was introduced to recharge groundwater and arrest top soil erosion. The area was protected by the community, with five tree growers’ cooperative societies leading the battle against soil degradation. Over a period of 13 years, assessment using satellite imagery and ground data showed an astonishing transformation in Thoria’s landscape and local people’s livelihoods. The 160 hectares of local wasteland had been reduced to just one-tenth, with open forest land – which has narrow-leaf trees and sparse canopy – increasing from 2 hectares to 134 hectares. Farmland cropped twice a year increased seven-fold, while eight times more grass was available, meeting Thoria’s considerable fodder needs. The adjoining 800 hectares of land also became greener as the water table was replenished. On 25 hectares of common land in Gujarat State, a project supported by the FES from the late 1980s improved soil and biomass, with 55 tonnes of carbon sequestered and 33 tonnes of soil erosion prevented per hectare. It generated a nine-fold return on investment over the 17-year period to 2005. In all of these efforts, women have played a leading role. “We worked on an equal footing with the men in both decision making and responsibility, and for the first time in this locality, we got equal wages,” said 47-year-old Choti Devi, a woman community leader in Thoria. Rao said the FES insists on universal membership for village ecology institutions, which is the strength of its grassroots work. “Where a man sees an issue in market-related terms, a woman thinks long term and decides holistically – she thinks of food, fodder and subsistence,” he said. The organisation has helped Rajasthan finalise a Common Land Policy – the first state government to do so – and is advocating for the commons to get their due place in national five-year plans. This would enable village communities to access funds to restore their common land under the Mahatma Gandhi National Rural Employment Guarantee Act (MNREGA), India’s flagship rural income-generation scheme which pays wages to communities to develop local infrastructure. The FES gained international recognition for its work in June, winning the Land for Life Award 2013. The U.N. Convention to Combat Desertification (UNCCD) created the award in 2011 to recognise sustainable land management. “Much of what (the winners) offer are simple solutions to climate change…but transformational,” said Luc Gnacadja, the UNCCD’s executive secretary. The FES also won the Times of India-Social Impact Award and the Elinor Ostrom Award on Collective Governance of the Commons earlier this year. “We will continue to dispel the notions that commons are ‘wastelands’ and that ‘everybody’s property is nobody’s property’,” Rao said.